Zytek, the U.K.-based motorsports engineering specialist, has completed a series of three two-day tests of its kinetic-energy recovery system, installed in Honda Research and Development's HEV Super GT test car. In total, the new 40-kilowatt system covered more than 1,200 miles on the track, driven by Honda works pilot Katsutomo Kaneishi. Zytek's KERS includes a transaxle-integrated motor, a monocoque-mounted inverter and li-ion battery. The entire system weighs 98 pounds. Zytek reported that its KERS ran without fault throughout the tests and proved capable of producing as much as a 1.5-second lap-time improvement, or an 8 percent reduction in fuel consumption for the same lap time the car runs without the system. Using the push-to-pass option provided a 6-mph top-speed boost. The car proved capable of accelerating from a standstill to 60 kph using only the electric motor power. Operating duty cycles exceeded target performance at more than 1,200 kJ of energy per lap (three times higher than the systems used in Formula One during 2009). 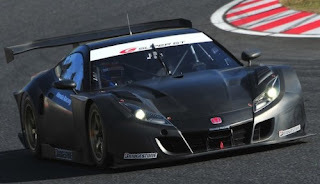 Zytek is developing the system for sale in a range of international racing categories.